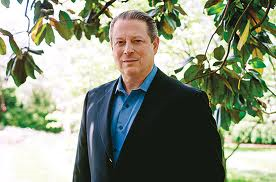 Still many more people think that Past Presidential candidate and Democratic Senator, Al Gore, has no longer got anything anyone wants. Ah, but he owned a conservative TV channel called Current. The Emir wanted an American channel. Suddenly Al Gore had something someone wanted and he sold it to the Emir. The channel went on air Tuesday, 20 August with what this viewer saw as a lackluster parade of programs beginning with an hour long mission movie. They want to bring fair and balanced news to America – but after all doesn’t everyone? Information on the history of al Jazeera was missing. Present were numerous familiar faces in the world of US news – former denizens of other networks. Even John McCain showed up in a supportive clip. The look and feel of the broadcast that day were uneventful almost one-dimensional. My Dish reception of it is not good. However, to its credit, al Jazeera America does have the spirit of the CNN of Ted Turner. Do dictators, then, produce better news? It would seem so. It is not slick but it is serious. But will it have to become so to compete? What is missing? Missing is a clear signal of what sets al Jazeera America apart from the other US networks. Content is neither handled nor chosen in a manner that would reflect a fresh view of America and the world of which it is apart. The piece on Egypt was exceptional but did I have to find out about the discovery of what may be Alexander the Great’s tomb on the front page of Daily Mail UK online? Ah, well, they may have caught on to the fact that most Americans don’t do history. MIA also is a commitment to include broader world coverage – something Americans have sought for too long. What will we learn about even other countries and peoples of this hemisphere? Perhaps more focus and structure to spots that highlight programming would be helpful. But nothing will help if you don’t have access to the channel. If you are low income or no income you will miss al Jazeera America. Dish customers have to upgrade to a level of 200 channels for a monthly total bill of around $80. If you do have a computer, you will have a modicum of access. I still prefer Al Jazeera English both for its coverage and for its roster of editorial articles. More people are watching programming packaged for mobile viewing. Here, CNN is the news station in the lead with its well-publicized application for smart phones and iPads. Al Jazeera has the same number of national bureaus as CNN – approximately 20 but it does not have the same aggressive marketing – YET! CNN does not have to overcome the perception that it is a band of Arab terrorists but it may as well. It is liberal. And face it, the Chinese and Russian channels are not on a winning streak either but they are needed – all of them. 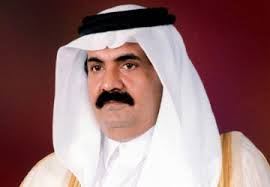 Here’s hoping that Sheikh Hamad bin Khalifa al ThaniPast will not have to make the rounds of the late night talk shows or even have to create one as CNN has done to appeal to the masses. Something akin to a guest spot on the old Muppet Show would be preferable. Hello again – Thanks for keeping us up to date with the introduction of Al Jazeera to the States. I don’t doubt they’re have to overcome all sorts of dirty tricks, as well as the usual barriers to a new TV station. I have Directv and we get it. But I refuse to watch it, not even out of curiosity. I don’t want to give them one more rating point. I’m quite sure they’re spinning the news a bit differently for American audiences than for their home base but I am predisposed to think that Al Jazeera America has an agenda and I’m not buying. It takes enough work to weed through the American news offerings which for me, are supplementary to other mediums anyway.